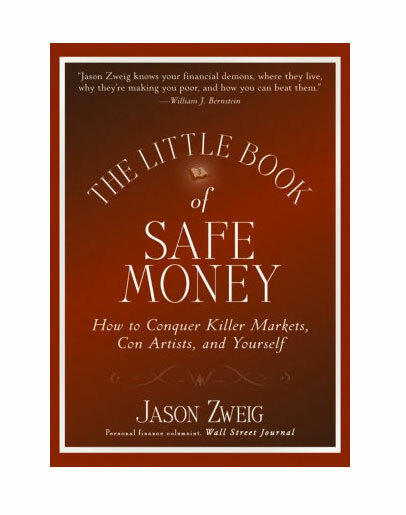 The Little Book of Safe Money: How to Conquer Killer Markets, Con Artists, and Yourself - IFA Vintage and Current Book Library - Index Fund Advisors, Inc. The Little Book of Safe Money acts as a guide for those trying to make their way through today's down markets. The topics covered include everything from investing behavior-why our minds come with their own set of biases that often prove harmful-to the use of financial advisors. But this timely book goes one step further than the rest by questioning an investor's true appetite for risk.